Driving crazy hours in the taxicab, I listen to a lot of radio. Endlessly. Sports, music, talk - everything. Here's two Tarzan stories I recently heard on the radio. Grandma in the Trees. 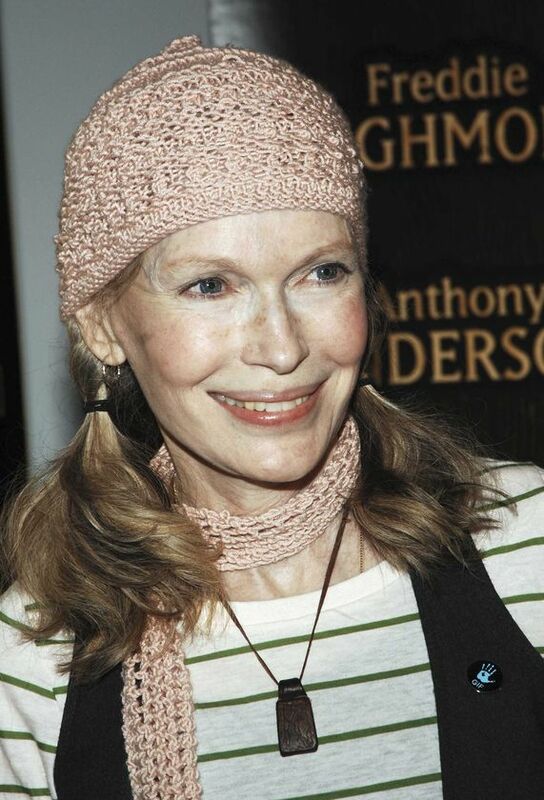 Mia Farrow is one of my favorite actresses and human beings. Well, I don't actually know her personally, but I've heard her interviewed a few times. She's a true humanitarian who seems to live her beliefs. Her mother, Maureen O'Sullivan, was one of the great actresses of the early years of the movies. What a beauty, too. She appeared in a bunch of the first Tarzan movies as Jane Parker, Tarzan's girlfriend. This is a story that Mia tells. Apparently Mia wanted to introduce a couple of her younger daughters (she has 13 kids, mostly through adoption) to the movie work of their grandmother. So she sits the girls down, pops "Tarzan the Apeman" into the tape player and goes into the kitchen to cook some food. In a little while, the two little girls wander into the kitchen, quite upset, tears rolling down their cheeks. One of them cries, "Mommy, what's grandma doing in the trees?" Pass the Doritos. There is a guy who has researched and written a book about the retirement years of chimpanzees in America. Unique among the various animals used for lab research and entertainment, chimps are not euthanized when their working life is over. So, that's good. I guess these creatures are just too human-like to execute. As entertainers (and who doesn't love "Clyde," Clint's best buddy in "Every Which Way but Loose?" OK, Clyde was technically an orangutan), I was surprised to learn that chimps are only usable as actors for just a few years, maybe ages 2-5, because, when they grow to full adults, they're much too ornery and aggressive to perform for humans. So, these movie chimps have 60-year retirements! The chimp that played in the early Tarzan movies is, amazingly, still alive. Cheeta is about 70 and lives in a beautiful home in Palm Springs. He spends most of his days sitting around munching Doritos and drinking diet ice tea. (He's diabetic.) His favorite activity - I kid you not - is watching his old Tarzan movies.